OurPet's Cosmic Catnip Jar 3ozCosmic Catnip has been grown to achieve the strongest, most aromatic catnip ever produced! Cosmic Catnip is a 100% natural herb that stimulates a harmless, playful reaction in most cats. KONG catnip is harvested at the peak of its flavour, colour and fragrance and field-dried. KONG’s premium leaf and flower cut gives you minimal stems and seeds and more of the essential oils that cause a reaction in most cats. KONG catnip is harvested at the peak of its flavor, color, and fragrance and field-dried. Use as a stand-alone treat or in KONG refillable catnip toys. Use as a stand-alone treat or in KONG refillable catnip toys. Best catnip in the universe!5 Ounce jar. Dogs Cats Small animals Horses Reptiles Fishes Birds. This is prohibited by law. We know you are anxious to receive your stuff. We know you are excited to receive your stuff. Cosmic Catnip Big Ol Catnip Sack (Posted Today if Paid Before 1pm) This brightly coloured Catnip Carrot Toy is made from soft yet strong material and contains Cosmic Catnip. 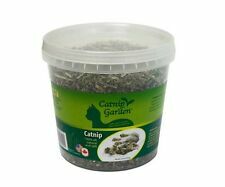 A strong aromatic blend of Catnip that is produced in America, this will stimulate and encourage play in your cat. Powered by [eBay Turbo Lister] (https://pages.ebay.com/turbo_lister/) Other 24 Courier - UKmail next working day* If required a saturday delivery extra charge of £10 Or can be sent Royal mail 1st class signed for extra £0.99 If your postage is in one of these zones there will be a extra charge of £10 Zone C AB 31 to AB 38, AB 40 to AB 56, IV 1 to 28, IV 30 to 32, IV 36 & 40, IV 52 to 54, IV63, KW 1 to 14, PA 21 to PA 38, PH 4 to PH 41, PH 49, PH 50. It is a perennial herb that is said to grow up to 3 feet though my plants are closer to 4. The root sends up square, erect, and branched stems which are very leafy and are covered with a downy gray hair. Reseal Able Pouch. All Natural Product. Great Source Of Stimulation For Cats To Play. This is prohibited by law. USEFUL LINKS. Recently Added. We know you are excited to receive your stuff. Spray it on anything and watch the crazy fun begin. OurPet's Cosmic Catnip Jar 2.25ozCosmic Catnip has been grown to achieve the strongest, most aromatic catnip ever produced! Cosmic Catnip is a 100% natural herb that stimulates a harmless, playful reaction in most cats. The bright, green, leafy contents are in a re-sealable plastic container. The re-sealable container ensures potency and freshness. A natural product for natural instincts. 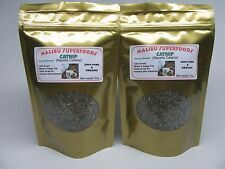 3 one ounce bags of the most potent fresh dried catnip. Kitty approved cat weed. KittyWeed is 100% Certified Organic and Kosher catnip. The KittyWeed Big Fatty catnip toy is stuffed full with a half ounce of Potent Catnip! Big Fatty Catnip Toy. Full Half Ounce Bag of Loose Catnip. Check out our over extensive amountof. Coarse Cut Sifted. Fresh: 2018 Crop. Organic Catnip. Fresh 2018 crop. Catnip Shaker. Handy shaker allows to dose easily and economically. With long-lasting scent. Ground plant parts from Nepeta cataria. We will do everything in our powers to sort out any problems that may arise. OurPet's Cosmic Catnip Cup. 5ozCosmic Catnip has been grown to achieve the strongest, most aromatic catnip ever produced! 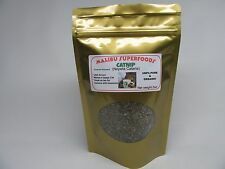 Cosmic Catnip is a 100% natural herb that stimulates a harmless, playful reaction in most cats.